Lexus executive Karl Schlicht with the new GS sedan he helped save. FRANKFURT -- A big part of Karl Schlicht's job is ensuring that Lexus stays true to its U.S. roots even as Toyota expands its luxury brand around the world. "Whether anyone likes it or not, America is the hub of Lexus," said the Japan-based Canadian who heads Lexus' worldwide product and marketing planning division, which was formed two years ago. "We should be proud of it and celebrate it. It's a Japanese brand, but it was born in the U.S.A."
Schlicht said in an interview last month at the Frankfurt auto show that his role is to "make sure we don't go too much toward being Toyota-Plus. We want to define where we must be different and separate." And that's why the international team formed to look after Lexus is so important, he said. "Some Japanese executives say they get the Lexus brand, but they don't fully understand the overseas version," he said. For Schlicht, 50, the top non-Japanese executive stationed at Toyota headquarters in Nagoya, overseeing Lexus has a lot to do with sweating the details. That means, for example, ensuring that the switchgear on an ES 350 is not the same as that in a Camry XLE. The sound the door makes when it closes must be different as well. Two decades after the brand's U.S. launch it may be surprising that such matters aren't sorted out by now. Yet Schlicht still fears a repeat of the Lexus HS 250h, which many critics said felt like a loaded Toyota Prius. The Lexus and Toyota engineering teams must be kept separate and dedicated to their brands, Schlicht said. "If we're going to conquest German-brand customers, these things are very important," he said. "It doesn't matter whether it's front-drive or rear-drive, but more about what the customer feels, sees and touches." Schlicht is largely responsible for his department's greatest victory so far: rescuing the GS sedan from the scrap heap 18 months ago. The competitor to the Mercedes E class and BMW 5 series had foundered in its first two generations. Toyota's top management was ready to give the GS the ax, scrapping the redesign scheduled to arrive early next year. 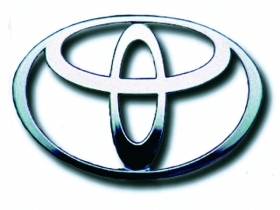 But Schlicht's team appealed directly to Toyota President Akio Toyoda for one more chance. Not only did Toyoda relent; he liked the way the more direct reporting system worked. Toyoda had discovered that Bentley and Audi had dedicated seats on VW's management board. So he scrapped the existing bureaucratic structure this year and created a more direct communication path for Lexus to his office. Previously Lexus' regional divisions had to report through a crazy-quilt organizational chart in Japan. "Lexus never had a global leader at a senior level," Schlicht said. "We had six senior managing directors and executive vice presidents above us, all partly responsible, but never just overseeing Lexus. Akio felt we needed someone to speak for Lexus at the board level." Now all decisions run straight to Toyoda. And for the overseas markets Schlicht is the sounding board. "For us it's a revolution, breaking down these silos," he said. "Akio wants to care for Lexus personally. Now he comes to the dealer council meeting at the Pebble Beach Concours." Schlicht started his career as a summer intern with General Motors in 1982, then had stints with AMC-Jeep-Renault and Mazda before joining Toyota Canada in 1986. Eight years ago he was sent to Lexus in England for two years. Then he spent four years with Toyota Motor Europe in Brussels working with the Lexus brand. In 2009 Schlicht became part of a small cadre of gaijin -- foreigners -- sent to Japan to help coordinate the brand globally. "If you put one foreigner among 50 native Japanese he will not get anywhere," he said. "But if you put a cluster of us, then you get stuff done." Andrew Coetzee, who was part of the team sent to Nagoya two years ago, and who now is Lexus' U.S. vice president of customer service and brand development, described Toyoda's creation of the worldwide product and marketing planning division as "a transformation." "Lexus became a more collaborative place, where information and ideas travel at a faster pace, and Karl personally helped create this vibrant atmosphere," Coetzee said. "I am very optimistic about the future of Lexus and the international team being assembled in Japan." Technically, Schlicht is not the top-ranking Lexus executive, but he is the one to whom most overseas markets will report. Above Schlicht are Kiyotaka Ise, Lexus' top engineering executive, and Kazuo Ohara, deputy chief for sales, marketing and product planning. The fact that all three executives meet with Toyoda is a shattering of the traditional silos that have hampered Lexus' global growth. "Akio didn't feel that Japanese executives from Japan could run the interaction with all the regions," Schlicht said. "We still have to navigate within the company in Japanese, but this has really opened up the pipeline of communication" with overseas markets. Lexus is relaunching the brand in China and has plans to introduce it in India. Also, Lexus is looking to expand in Russia, parts of Europe and the Middle East. While Lexus' U.S. division does not get involved directly with expanding the brand into new markets, the unit has developed a starter kit of tools for new markets: training, signs, marketing assets, human resources suggestions and business plans. That's better than having Lexus teams in new markets asking Lexus' U.S. officials if they can spare someone for an overseas launch. "We want to be fair to the regions," Schlicht said. "We know what their business priorities are. We're trying to make sure Europe, the U.S. and China are equally served. But the U.S. is still No. 1."